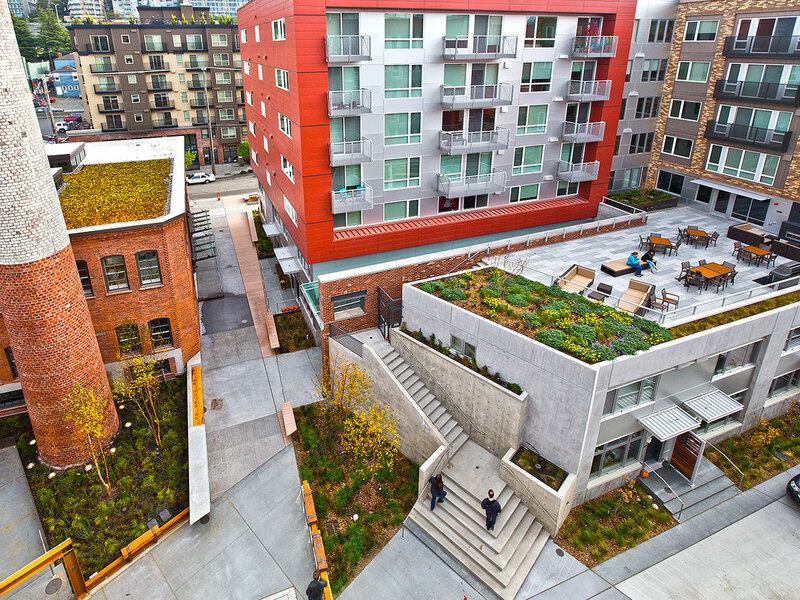 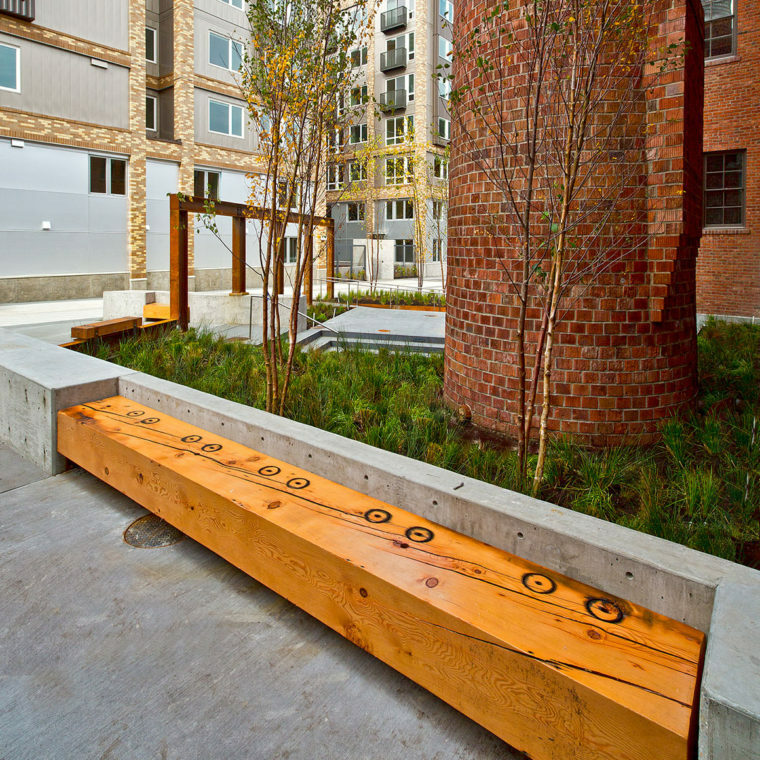 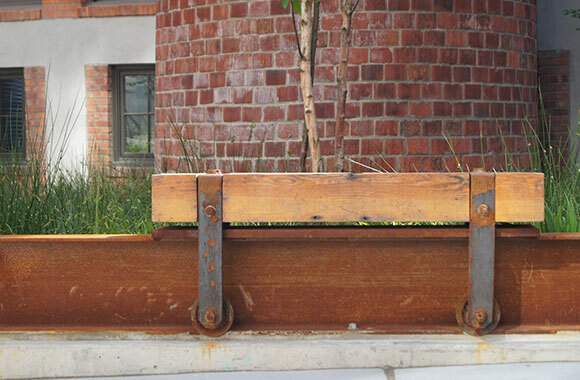 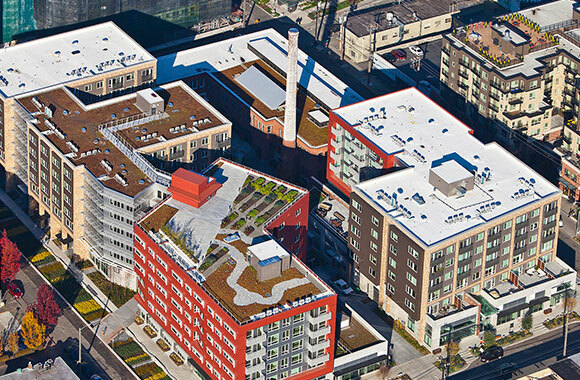 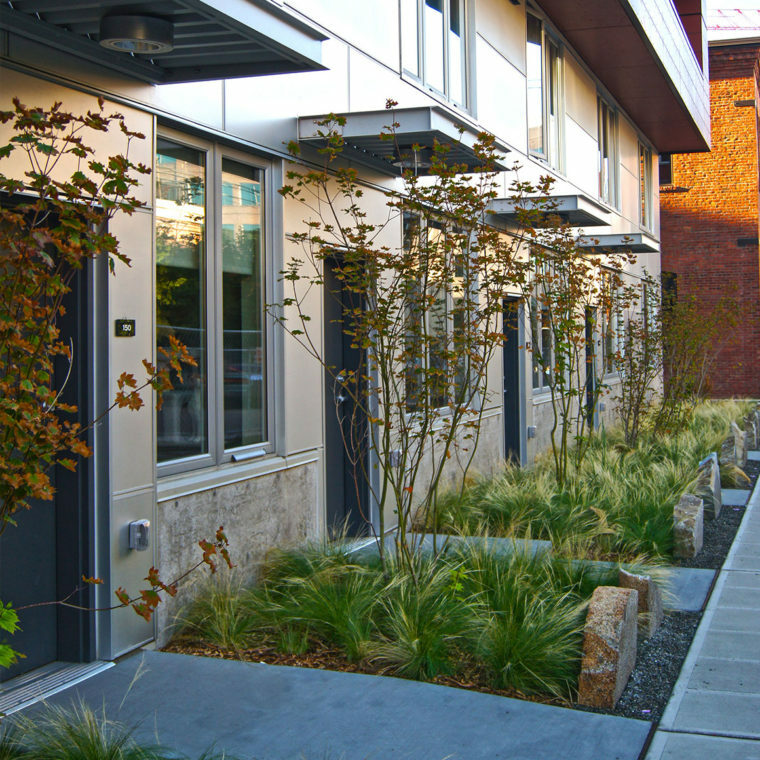 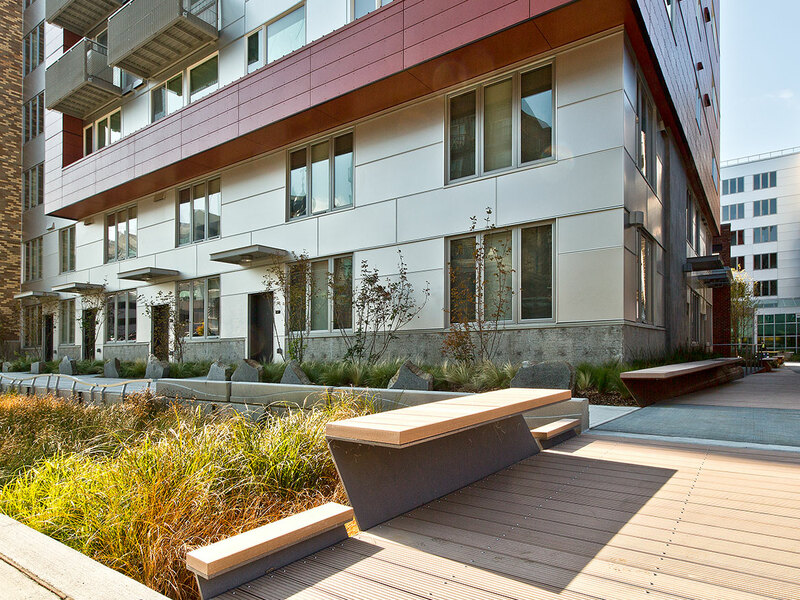 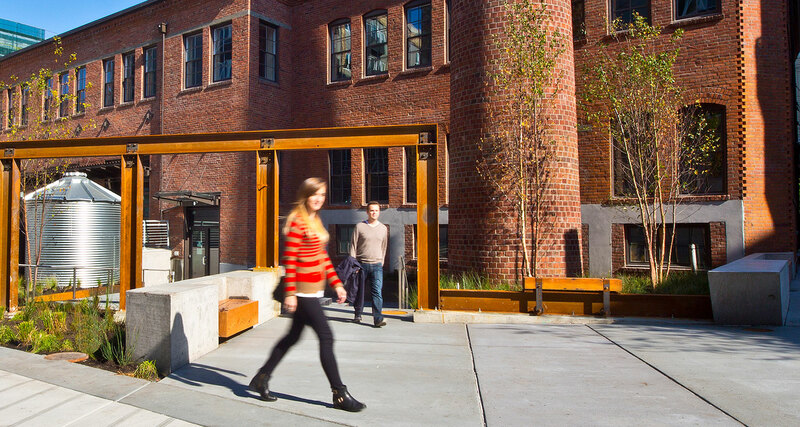 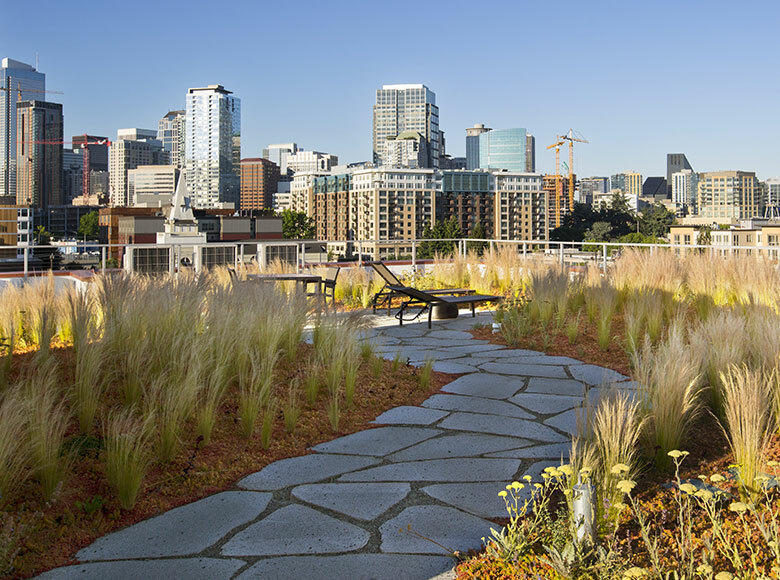 This South Lake Union development sets a new standard for sustainable site development integrating urban farming, green roofs, captured stormwater and salvaged beams from the site’s renovated Historic Laundry Building. 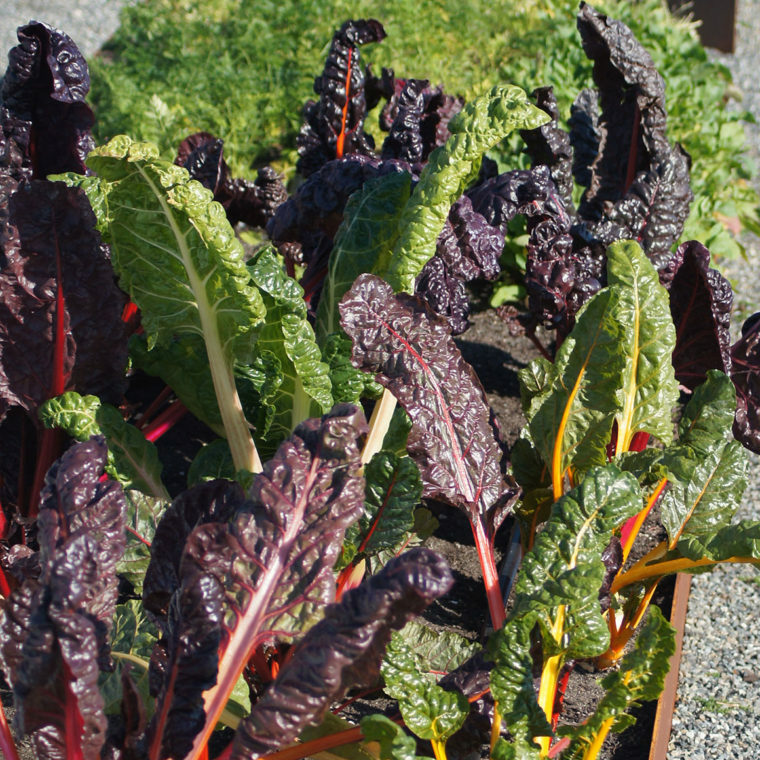 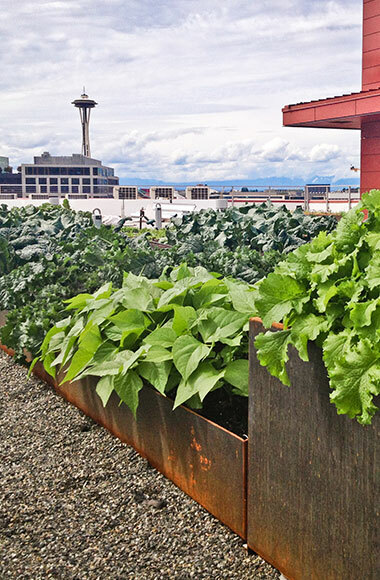 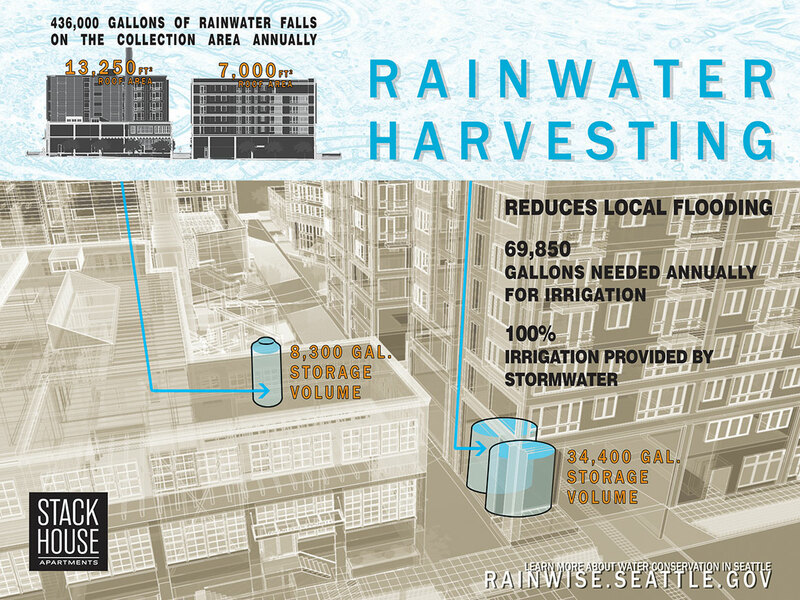 1,000 SF of roof deck was farmed by Seattle Urban Farm Co. All irrigation for the site is captured rainwater stored in large cisterns. 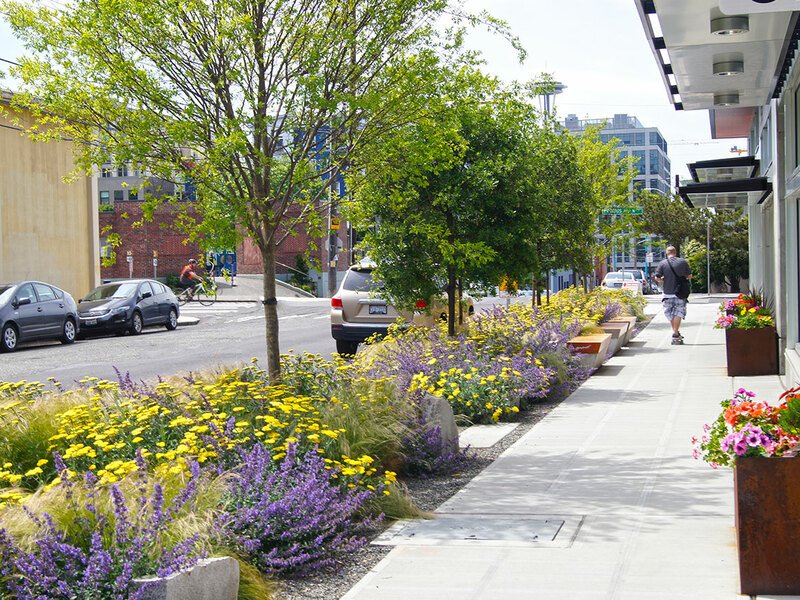 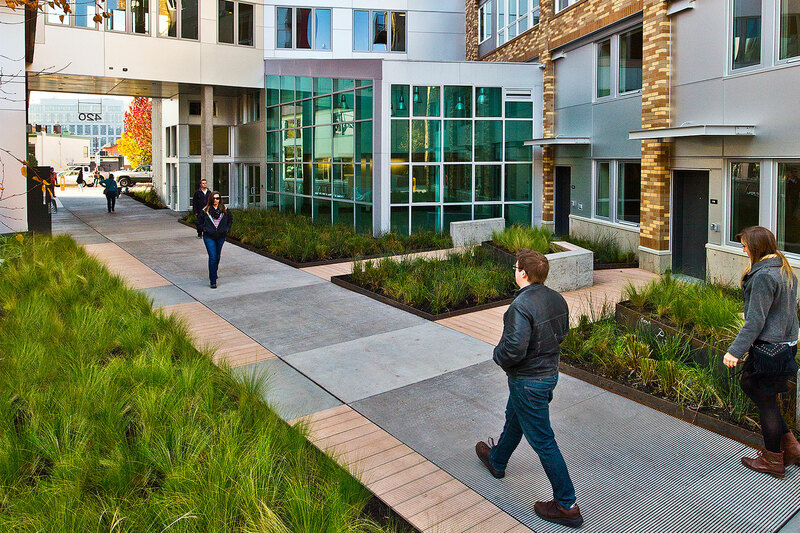 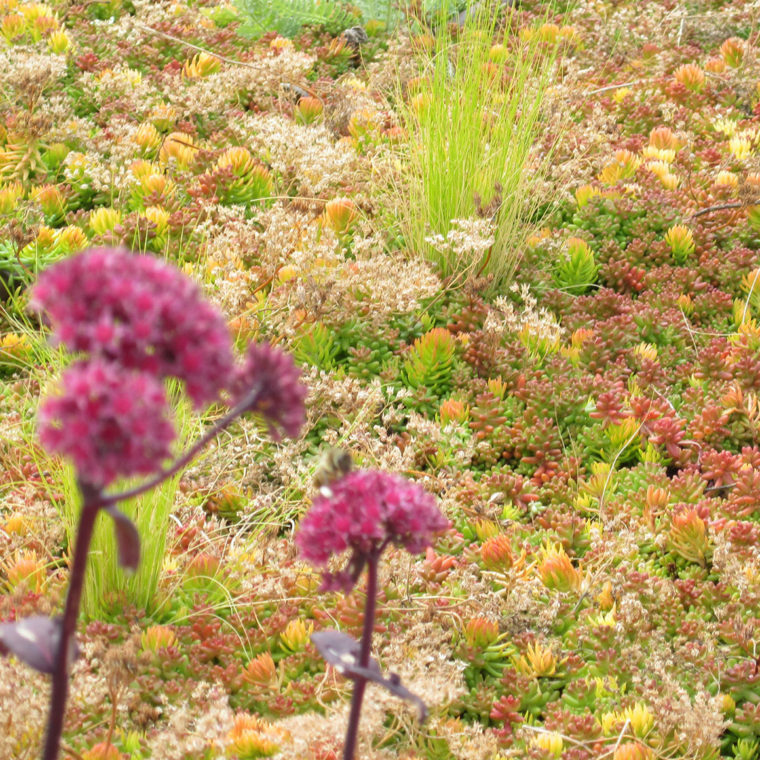 The streetscapes include pollinator friendly plants on two sides and Seattle Public Utilities’ landmark Swale on Yale stormwater facilities on the other.